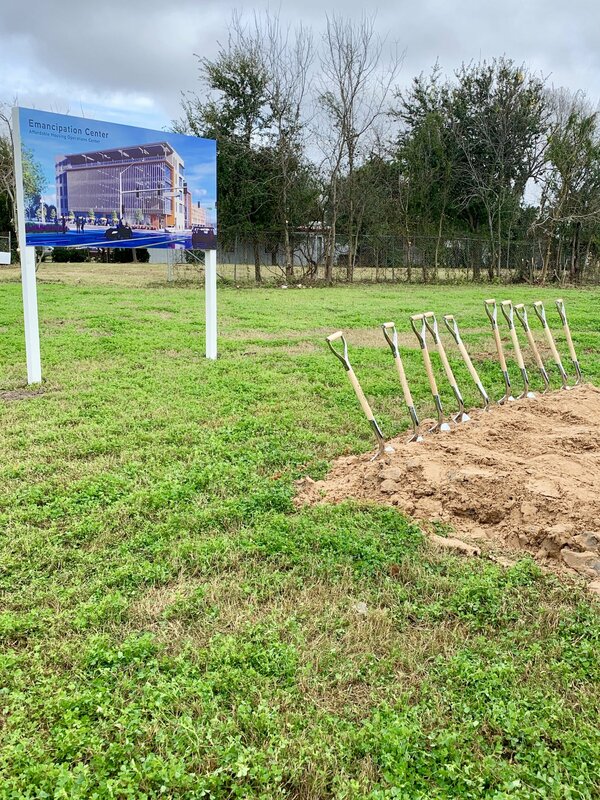 Yesterday was an accumulation of over two decades of work.We officially broke ground on what will become the Emancipation Center for Affordable Houston Operations in Houston’s historic Third Ward. 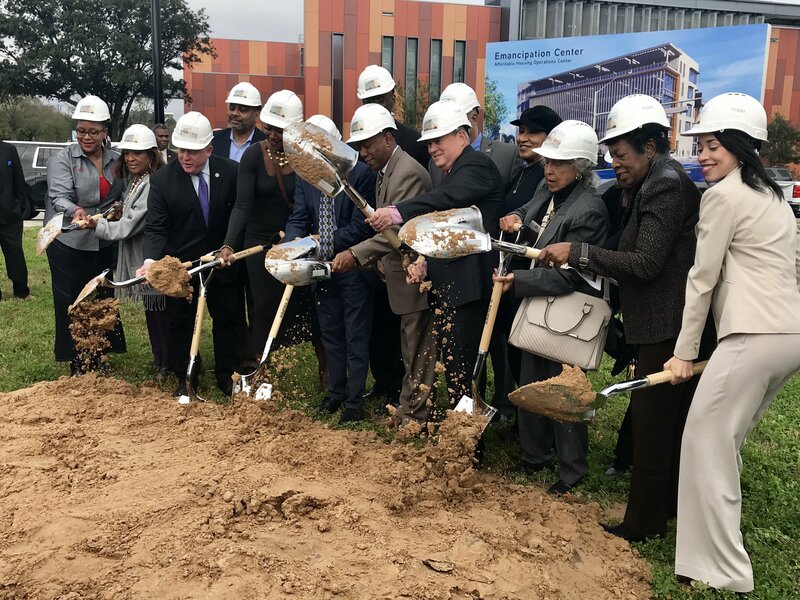 Myself, and other community leaders including Mayor Sylvester Turner, HISD Trustee Jolanda Jones and Council Member Amanda Edwards broke ground on the CCPPI (Center for Civic and Public Policy Improvement) Emancipation Center for Affordable Houston Operations. 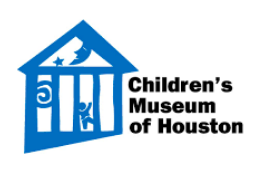 Click here to read a story by Houston Public Media on the groundbreaking. The Emancipation Center will bring together the resources necessary to bring affordable housing and revitalization to Houston’s Third Ward. This project would not be possible without the Midtown Redevelopment Authority implementing my vision to bank land in Houston’s Third Ward. The Midtown Redevelopment Authority has been able to bank 4 million square feet in the Third Ward in order to provide affordable housing, and maintain the character and heritage of the community. 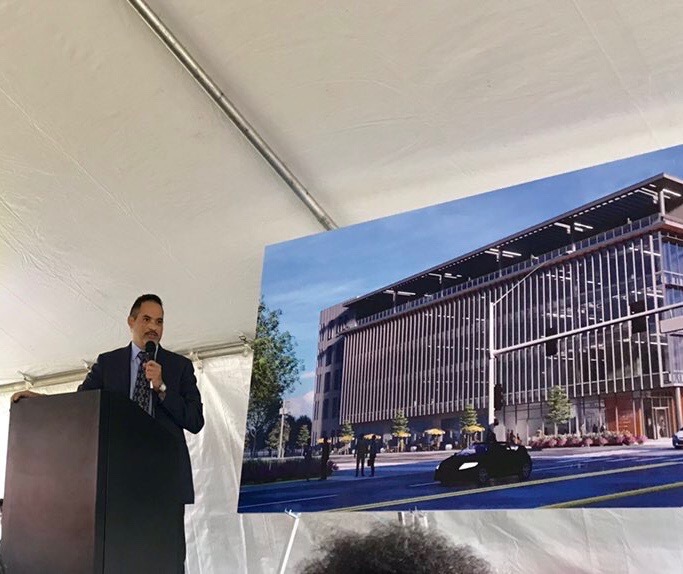 Please click here to read more background on the two decades of work that lead to yesterday’s groundbreaking. Also please see below for pictures of the event from yesterday. 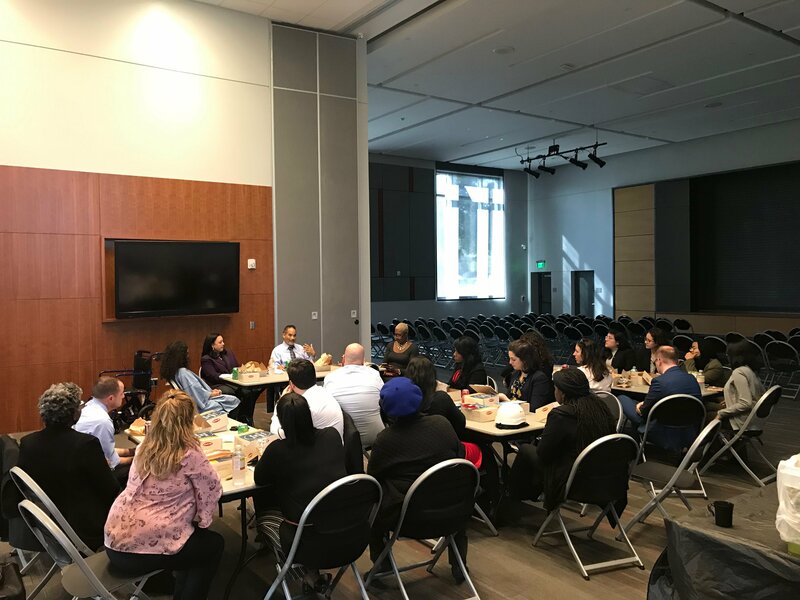 I would also like to thank Representative Armando Walle (D-Houston) and Representative Ana Hernandez (D-Houston) for taking my staff and LSG interns on a tour of their districts to explain the role of government in the community. Houston Mayor Sylvester Turner and Representative Garnet Coleman at Thursday’s groundbreaking ceremony. 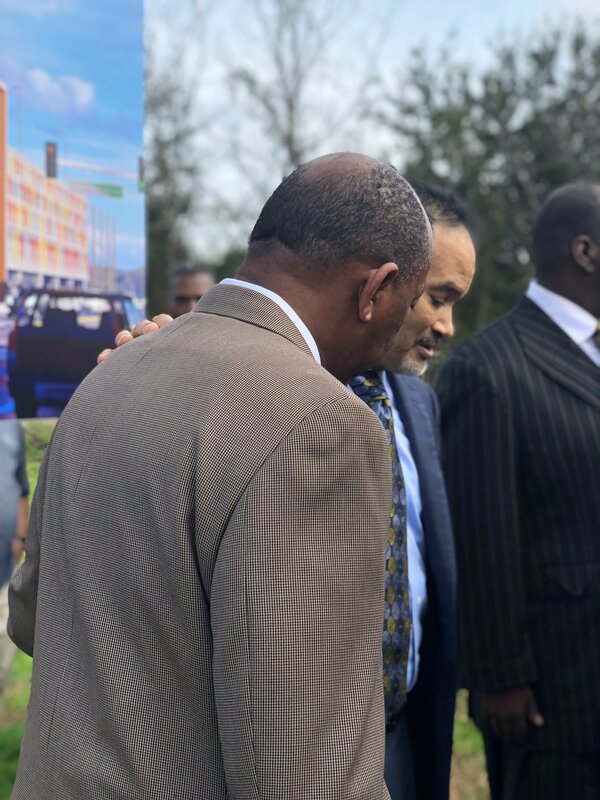 Representative Garnet Coleman (D-147) explains his vision behind the Emancipation Center for Affordable Housing Operations in Houston’s historic Third Ward at Thursday’s groundbreaking ceremony. 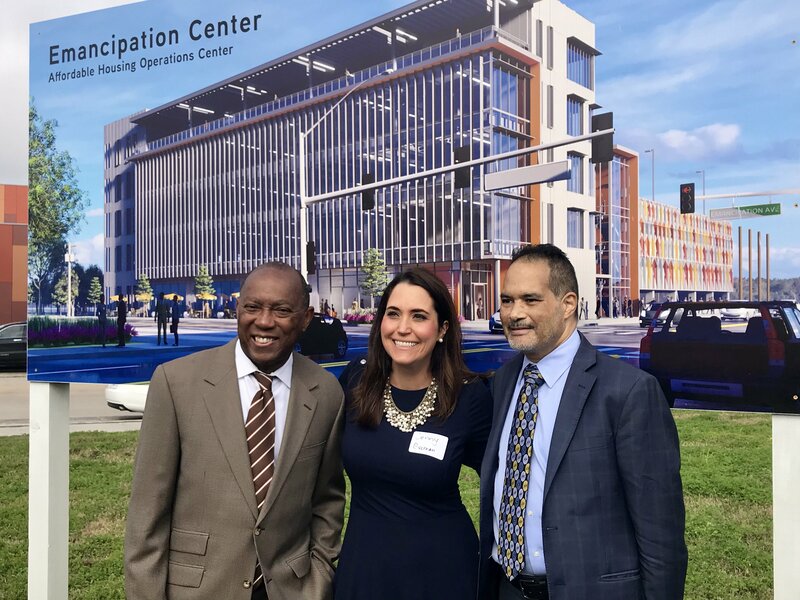 From left to right: Houston Mayor Sylvester Turner, Jenny Guzman, Vice President of Community Development at Texas Capital Bank, and Representative Garnet Coleman (D-147) at Thursday’s groundbreaking ceremony of the Emancipation Center for Affordable Housing Operations in Houston’s historic Third Ward. 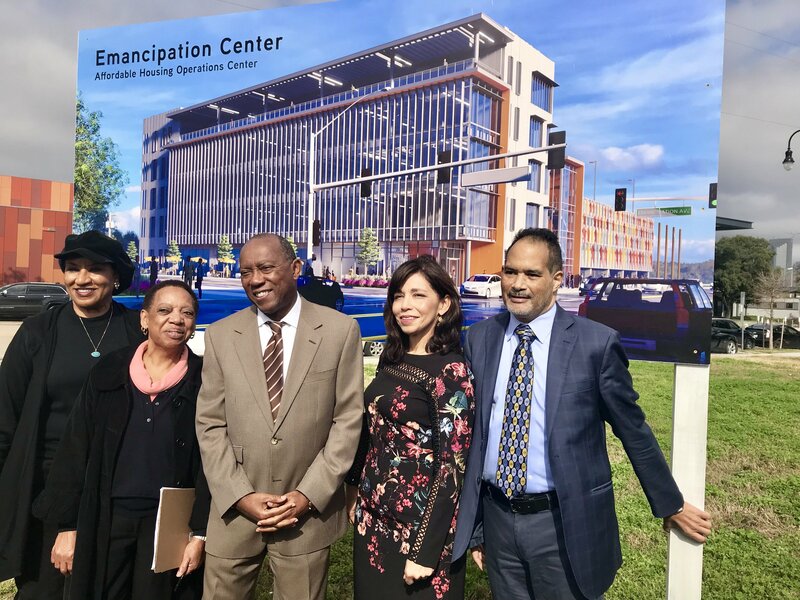 From left to right: Algenita Scott Davis–CCPPI Program Manager, Linda Larry Mitchell–CCPPI Office Administrator, Houston Mayor Sylvester Turner, Laura Jaramillo–Senior Vice President, Community Development Manager of Southwest Region Wells Fargo & Company, and Representative Garnet Coleman (D-147) at Thursday’s groundbreaking ceremony of the Emancipation Center for Affordable Housing Operations in Houston’s historic Third Ward. 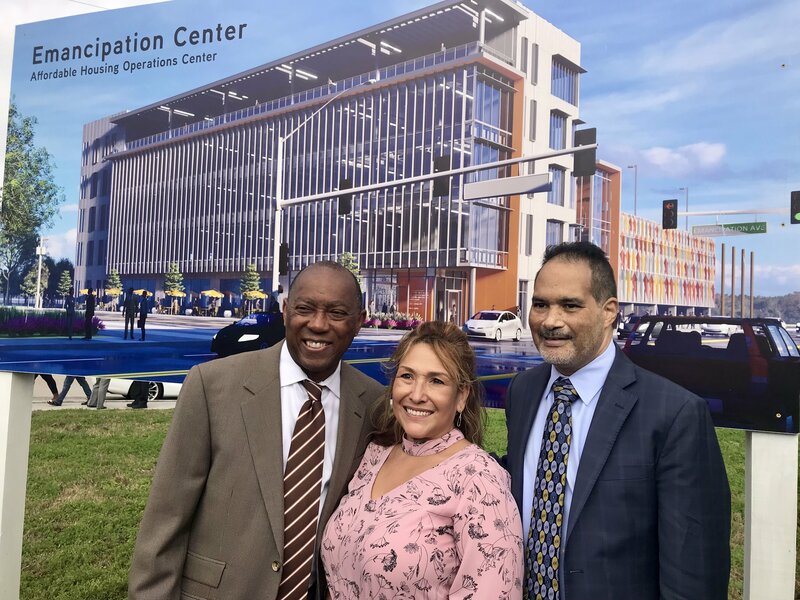 From left to right: Houston Mayor Sylvester Turner, Angelita Gomez–CCPPI Executive Administrator, and Representative Garnet Coleman (D-147) at Thursday’s groundbreaking for the Emancipation Center Affordable Housing Center in Houston’s historic Third Ward. 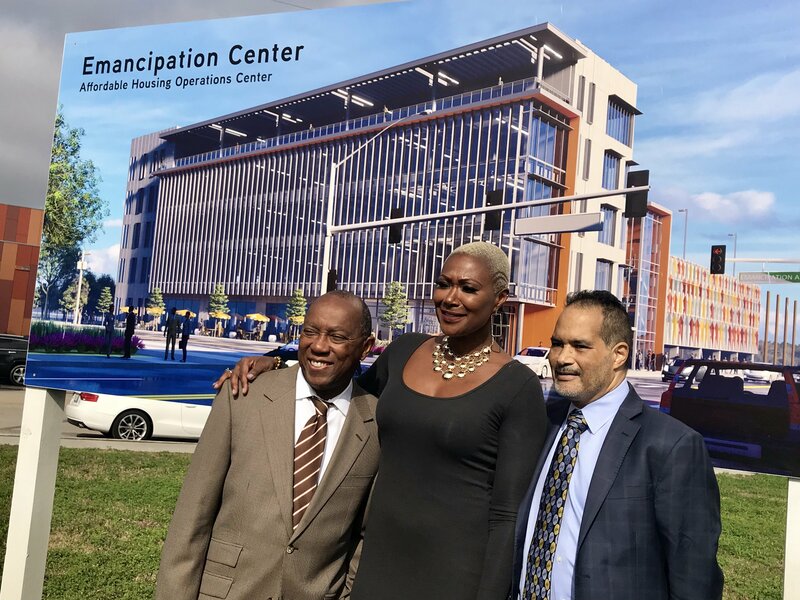 From left to right: Houston Mayor Sylvester Turner, HoustonISD Trustee Jolanda Jones, and Representative Garnet Coleman (D-147) at Thursday’s groundbreaking for the Emancipation Center Affordable Housing Center in Houston’s historic Third Ward. 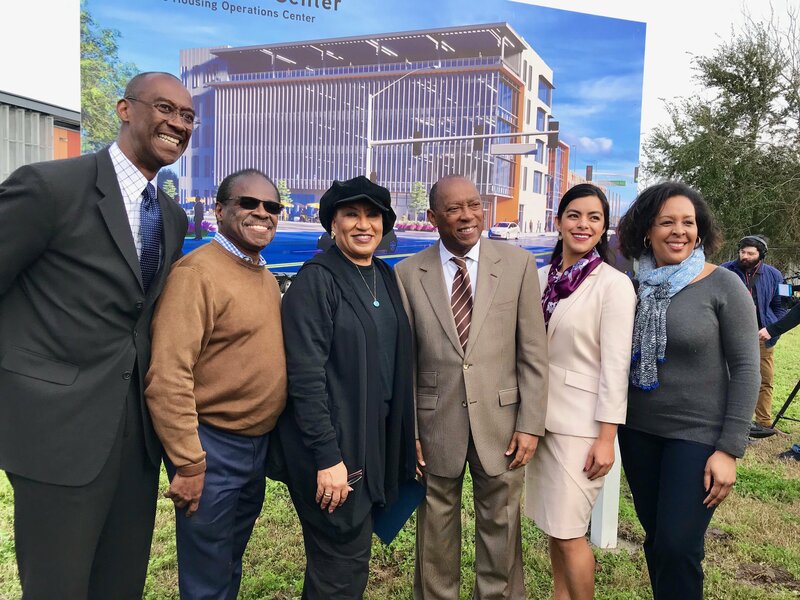 From left to right: HoustonISD Trustee Jolanda Jones, Houston Mayor Sylvester Turner, Executive Director at OST/Almeda Corridors Redevelopment Authority Theola Petteway, Representative Garnet Coleman (D-147), and Senior Advisor to Mayor Turner Keith Wade at Thursday’s groundbreaking for the Emancipation Center Affordable Housing Center in Houston’s historic Third Ward. 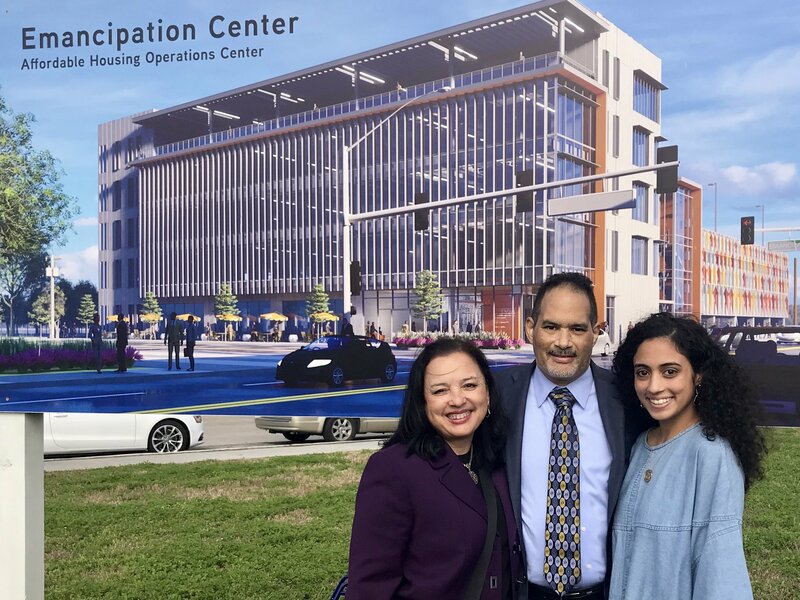 Representative Garnet Coleman (D-147) with his wife, Angelique Coleman, and daughter, Evan Coleman at Thursday’s groundbreaking for the Emancipation Center Affordable Housing Center in Houston’s historic Third Ward. 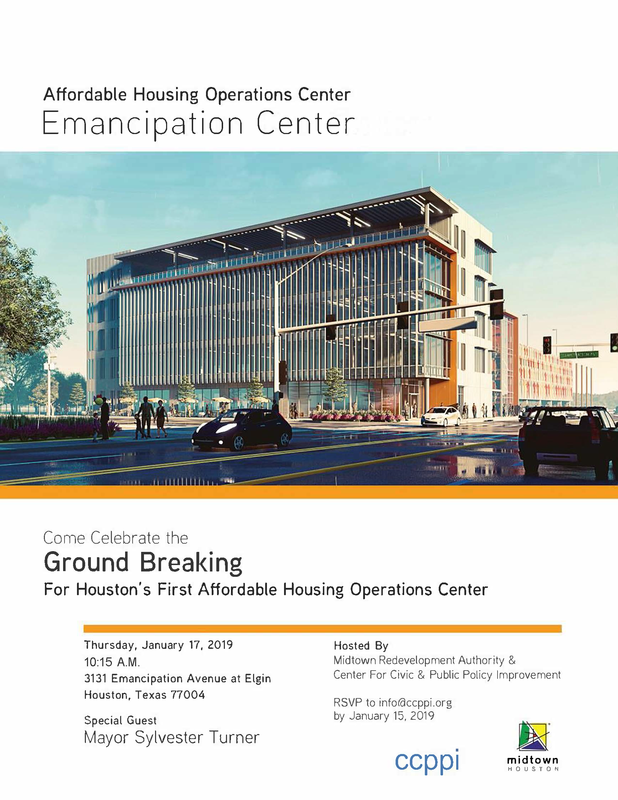 Local community leaders officially break ground at Thursday’s groundbreaking ceremony of the Emancipation Center for Affordable Housing Operations in Houston’s historic Third Ward. 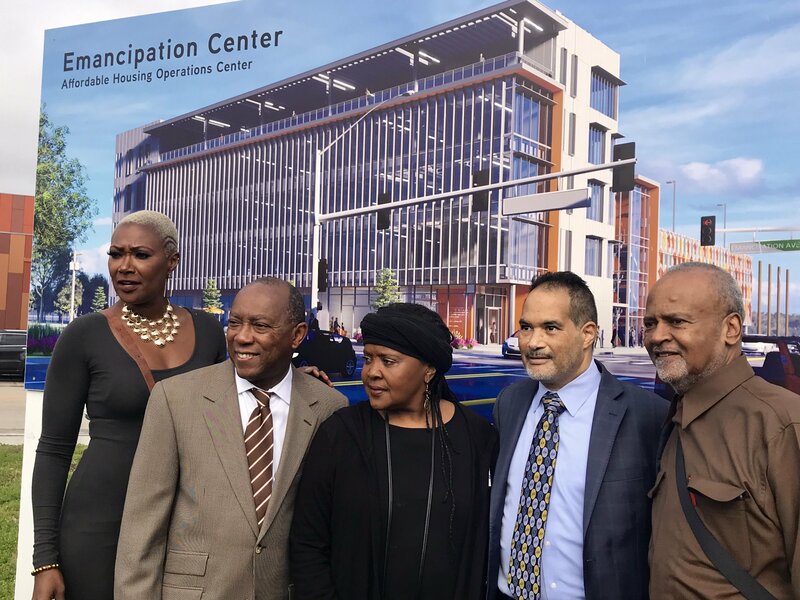 From left to right: Omar Reid–CCPPI Chairman, Carl Davis–City of Houston Planning Community Affairs, Algenita Scott Davis–CCPPI Program Manager, Houston Mayor Sylvester Turner, Rebecca Acuna– CCPPI Board Director, and Revlynn Lawson–CCPPI Board Director at Thursday’s groundbreaking ceremony of the Emancipation Center for Affordable Housing Operations in Houston’s historic Third Ward. 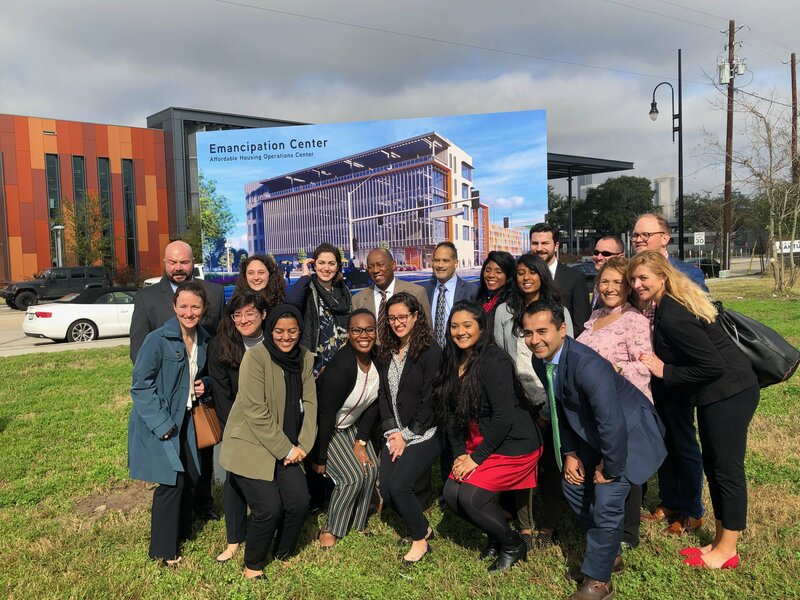 Houston Mayor Sylvester Turner and Representative Coleman with his District 147 staff, Capitol staff, and LSG staff of the 86th Texas Legislature at Thursday’s groundbreaking ceremony of the Emancipation Center for Affordable Housing Operations in Houston’s historic Third Ward. Representative Coleman tells his staff about the years of work behind the Emancipation Center for Affordable Housing Operations. 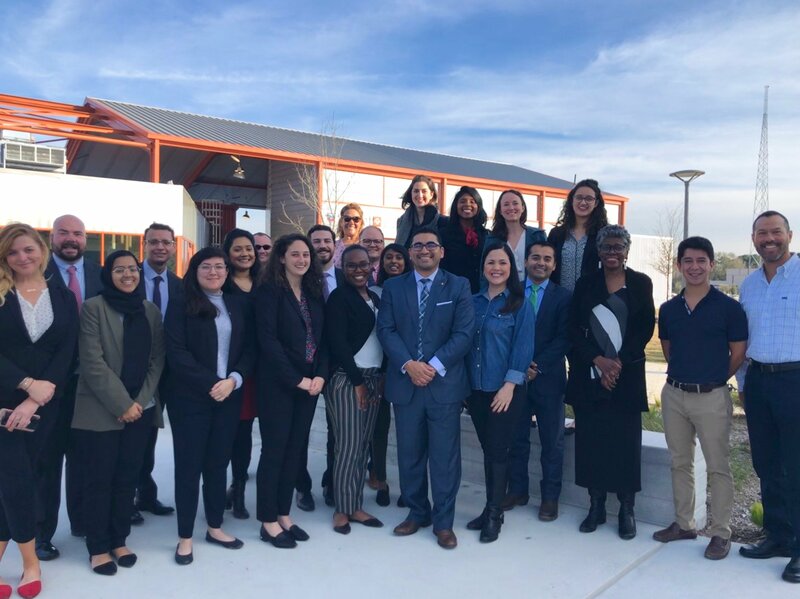 Representative Armando Walle (D-Houston) and Representative Ana Hernandez (D-Houston) and the staff of Representative Coleman touring the BakerRipley: East Aldine Economic Opportunity Center. Below is an opinion piece featured in the Houston Chronicle regarding the threat of a TEA takeover on our public school. 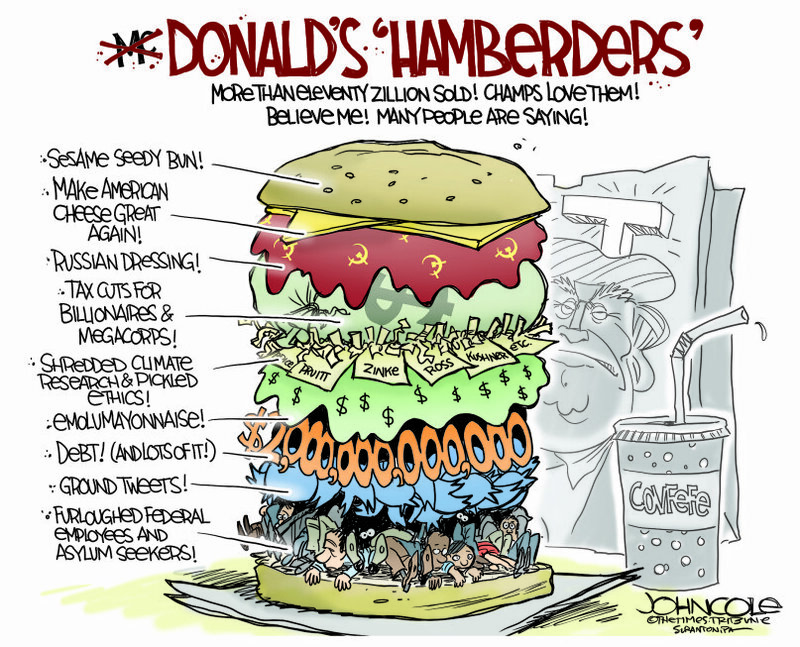 You can read it below or click here. Jan. 15, 2019 Updated: Jan. 16, 2019 10:12 a.m. 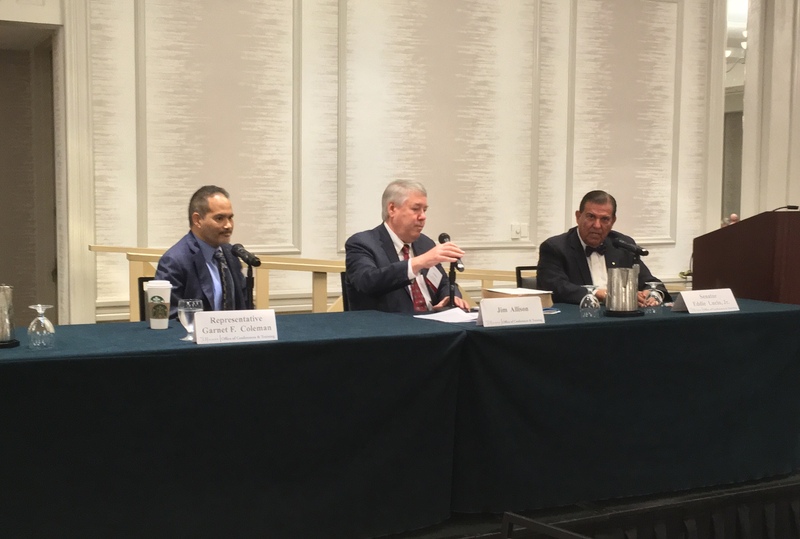 Enjoyed speaking with Senator Eddie Lucio (D-Brownsville) and moderator Jim Allison, General Counsel for the County Judges & Commissioners Association, on Wednesday at the UT LBJ School Seminar for new County Judges and Commissioners. Dr. Martin Luther King, Jr. dreamed for us to live in a world where we would “not be judged by the color of [our] skin, but by the content of [our] character.” Join Representative Garnet Coleman and theChildren’s Museum of Houstonin honoring civil rights leader, Dr. Martin Luther King, Jr., and his legacy during the 23rd MLK Day Annual Celebration. Click here for parking and travel directions. 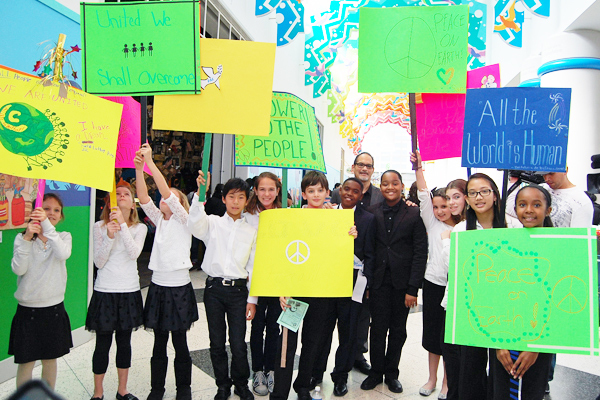 “I Have a Dream Speech”: Listen in awe as orator Donovan Harris will recite the speech that changed history at Kids’ Hall Alcove. Talented 20: Get into the grove and get moving to the inspirational sounds of this choir at Kids’ Hall Alcove. Our song of the week is “Redemption Song“ by Bob Marley.